Anyhoo, my girl child insisted that we hustle our butts back out the door ASAP to 'GO SEE GAME!!' 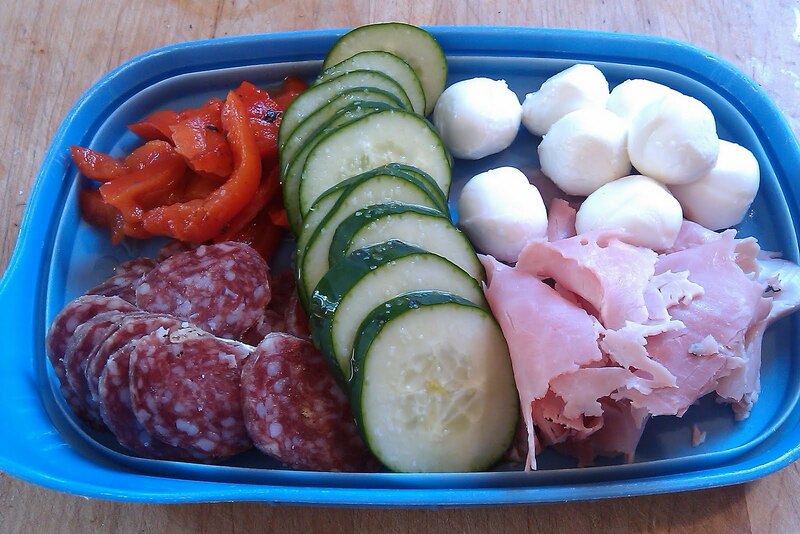 So, it was antipasti night. I keep a lot of things on hand that can be easily assembled for a snicky snack kind of meal. 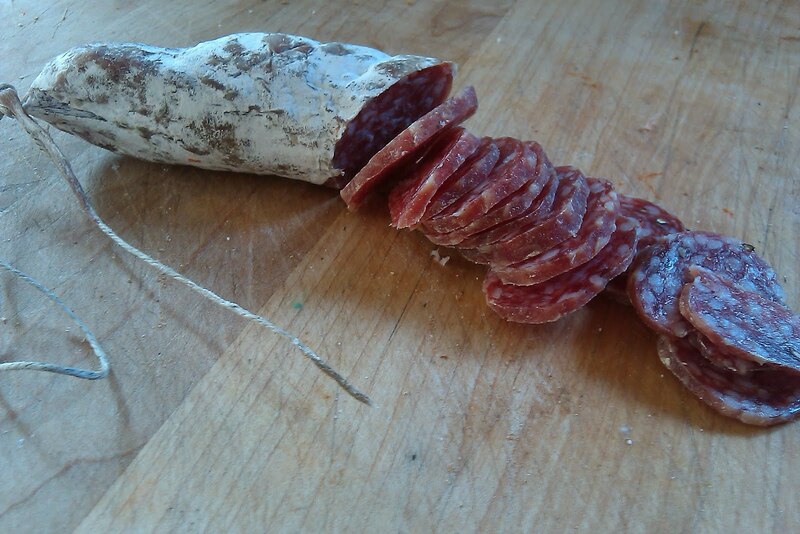 - Dried Salami is one of them. It's full of flavor, keeps for a good long time, and is easy to slice and go. 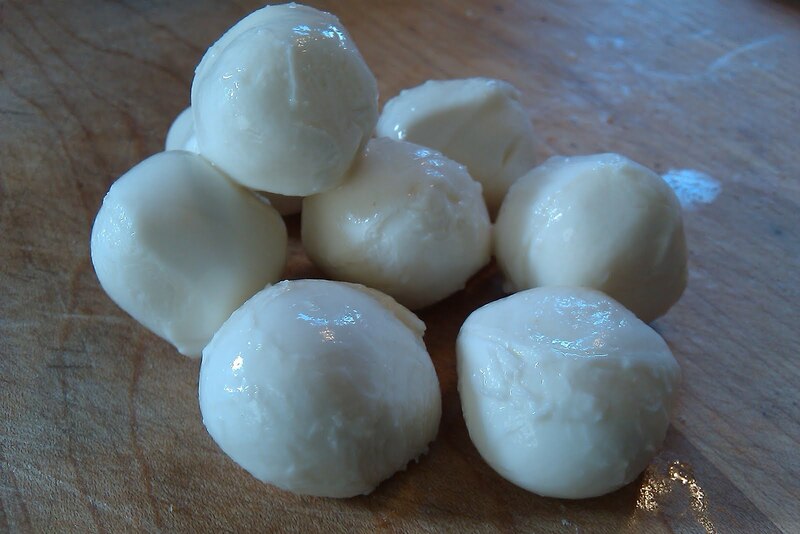 - Fresh Mozzerella. Always yummy and kid friendly. It's small, kid-sized bites that can be dressed with olive oil and salt, or, of course, basil and tomatoes... when they're in season. - Jambon (French, white ham). 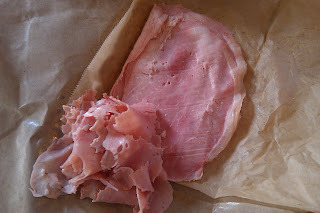 I prefer jambon to many other hams. 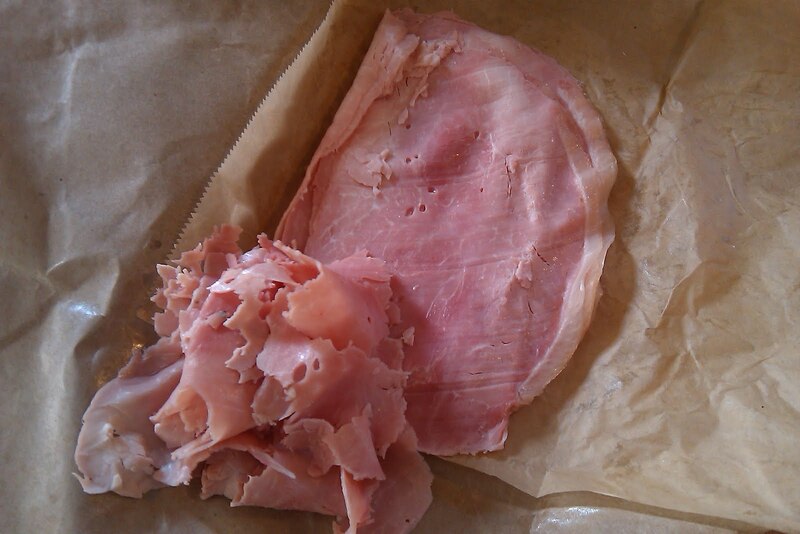 It's sweet, not as salty, and not smoked (a quality that I'm not a fan of in other hams). Pinch the slices into small pieces and little fingers like it, wither like this or even in their lunch. 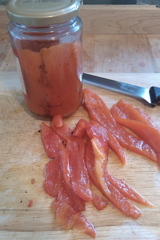 - Roasted red peppers in the jar. I love these peppers. They are a little acidic from the vinaigre in the canning juice, and they add just the right amount of moisture to salads or, you guessed it, antipasti plates. Lord knows the older they get the more willing they are or the more will full they are to do things on their own. The perfect dinner for the willful child "I Do It Myself!!". Now they can easily with this phenomenal platter.